Rosendo and Harriet were married on June 5, 1966. 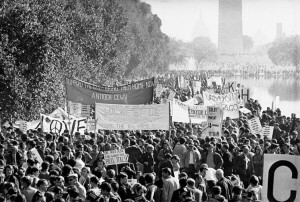 Washington DC anti-Vietnam War protests on October 21, 1967, the day that Erik was born. October 21, 1967, in Washington, D.C. nearly 100,000 people gather to protest the American war effort in Vietnam. More than 50,000 of the protesters marched to the Pentagon to ask for an end to the conflict. The protest was the most dramatic sign of waning U.S. support for President Lyndon Johnson’s war in Vietnam. 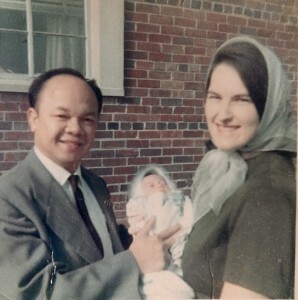 On this same day, in a hospital across town, Rosendo and Harriet were blessed with the birth of their first of three sons, Erik. 1968 would bring even more dramatic events to the nation’s capital as six days of race riots erupted, following the assassination of the Civil Rights Movement-leader Martin Luther King, Jr., on April 4. In the midst of the chaos of living in D.C. at that time, the couple received welcome news that Rosendo had been offered a full-time position at Wilkes College in Wilkes-Barre, Pennsylvania. The family would move into an apartment in Mountaintop, PA to begin a new life in Northeast PA. Next would come the purchase of their home in Swoyersville, PA and the birth of boy #2 Nathan, in 1970. 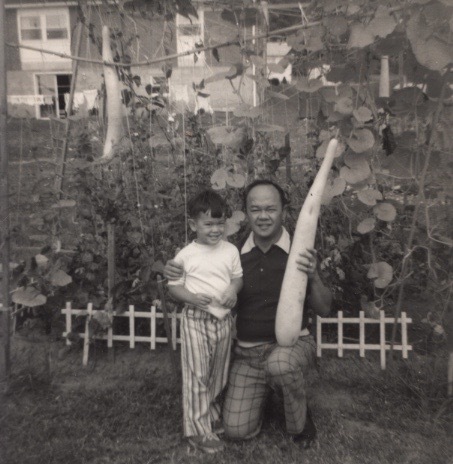 Young gardener Erik helping Dad with record-breaking Philippine squash. Raised in this musical environment, Erik quickly excelled in his abilities, first in piano, then on wind instruments, percussion and then guitar/bass guitar. He was involved in chorus, band, theater, jazz ensemble, Pennsylvania Music Educators Association (PMEA) District 9, Region 4, and States festivals in both chorus and band. He also attended the Governer’s School of the Arts at Bucknell University. In addition to these education-related activities, he played drums, then bass in various rock groups. After high school, he received a BM in Voice Performance from Indiana University of Pennsylvania, then MM and DMA in Composition from University of Michigan in Ann Arbor. 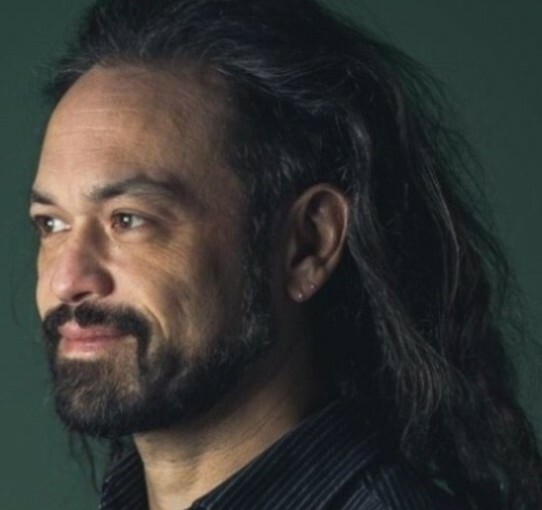 Currently, he is the Director Electronic Music Studio, Associate Professor of Composition and Performing Arts & Technology, and Chair of Composition at University of Michigan. He has been the recipient of numerous prizes and fellowships from The American Academy of Arts and Letters, Broadcast Music Incorporated (BMI), The MacDowell Colony, the Civic Orchestra of Chicago, the Rackham Graduate School of The University of Michigan, and was named the 1999 “Shepherd Distinguished Composer of the Year” by the Music Teacher s National Association (MTNA) of America. Santos has had three large-scale orchestral commissions from the Bozeman and Butte Symphony Orchestras of Montana, directed by Matthew Savery, and a number of commissions for chamber works. Among them: “Zauberkraft (Magic Power),” commissioned by Danish-American percussionist Timothy Lutte for performance at the 1996 Percussive Arts Society International Conference (PASIC) in Nashville, “…con Cruces de Fuego (…with Crosses of Fire)”, commissioned by the Michigan Music Teachers Association, “Sun Dogs” commissioned by the percussion duo, Equal Temperament, and “Dreamer: 7 Poems of Langston Hughes” for voice, harp and piano, commissioned by tenor Darryl Taylor, and “Star Rising,” commissioned by the American Guild of Organists. These interdisciplinary interests took over in 2002, when Santos was invited to be the resident composer for the internationally-acclaimed Japanese butoh (avant-garde dance/theater) company, Dairakudakan. Santos is the first American composer to work with this group since they formed in 1972. 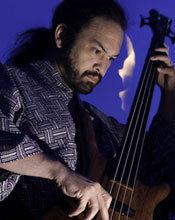 His first collaboration with Dairakudakan, “Universe of Dara – Return of the Jar Odyssey”, was performed in Tokyo and New York in 2003. Santos has compiled this music for a CD called “KUU: Journey to the Jar” (Centaur Records). Recordings of Santos’s concert music appear on CD’s by Naxos, Centaur, and Eroica Classical. His “Star Rising for organ” is published by Theodore Presser, Inc.
Toko and Erik Santos celebrating their 7th Wedding Anniversary on June 1, 2014. 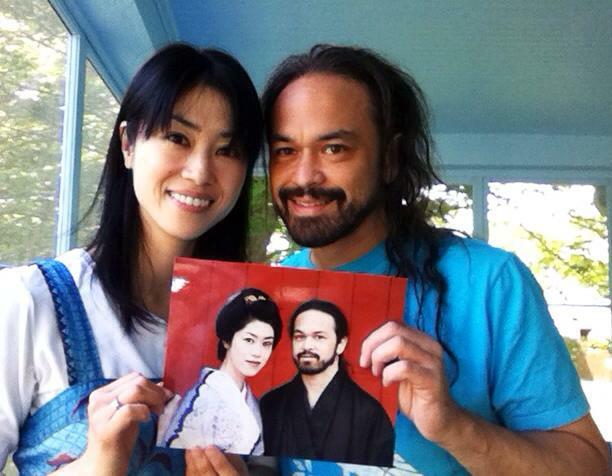 In 2005, Santos and artist/singer Toko Shiiki formed an upbeat band called October Babies, which has performed a large variety of original multi-cultural and multi-lingual dance songs in America and Japan. They are affiliated with the local Ann Arbor music label Oddfellow Music. 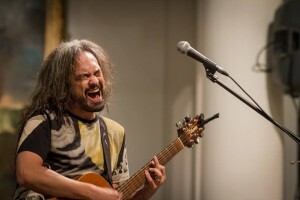 Having completed 4 albums, along with music videos and documentaries with October Babies, Santos and Shiiki became interested in filmmaking, and this led to the full-length movie Threshold: Whispers of Fukushima. This project focuses on the lives of several musicians who have continued to live in Fukushima, Japan, despite the devastation of earthquake and tsunami, and the threat of the failing nuclear reactor. Visit the website of his band, October Babies.